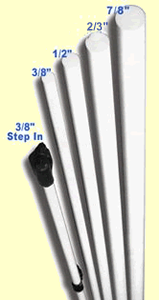 Sunguard Fiberglass Posts have a protective coating to prevent yellowing and splintering. They are lightweight yet durable and flex upon impact. Eliminate replacing damaged insulators and tracking down shorts at the fence post.